Want to help a dyslexic student? Help is here. Let’s get started. Pay up front one-time price of $1239.00 USD and save over $600! This bundle of 9 courses will train you in an Orton-Gillingham based reading and spelling program. Once completed, you will have the background knowledge and lesson plans to begin helping students who struggle to read and spell. I’ve seen these students, we all have. It might be someone you’ve taught in the past, are teaching now or they may even be your child. They’re smart, they try as hard (or harder) than most students, but no matter what, and despite all odds, they just can’t get reading and spelling. Not the way it’s taught at school and not the way most tutors teach. They get frustrated, they may shut down or act out but ultimately, after so many failed attempts, they give up. They assume something is wrong with them and that they will never be able to read and write like their peers. These students are dyslexic or have another type of learning difference and need a special kind of program to help. You want to help, but you’re not sure how. With this course you’ll learn how to change the lives of struggling students, and you’ll learn how to make money while doing it. If you don’t take action to help these students, or your child, they will struggle with reading and spelling for their entire lives. Receive unprecedented support from Aarken Tutoring Inc. We want you to succeed! The Aardvark Tutor Package is the full package that will take you from someone who is interested in helping someone with dyslexia, to someone who CAN help someone with dyslexia learn how to read and spell. You will get the foundation knowledge upon which you can build your Orton-Gillingham knowledge and move forward with lesson plans for your students. Module 3 – Building on what you’ve learned in the first few courses, you’ll get to know the open syllable. This will answer some questions about why vowels make one sound in some words and another in different words. You’ll again be getting all of the lessons and extras you’ll need! Module 4– What is that silent ‘e’ at the end of so many English words? You’ll learn about that in this module and all of the spelling rules that go along with it. You’ll know how to teach it and will get every lesson you need to teach it effectively. Many of our students have been diagnosed with learning difficulties and referred to us by psychologists, speech pathologists, school boards and health organizations. Unlike many programs, we do not subject our students to any further costly testing. The Aardvark Reading Program systematically teaches them to read, and our students are being evaluated by Certified Aardvark Tutors throughout the program. Students advance at their pace, making sure they are continually improving from a firm foundation through review and structured lessons that will build self-confidence and a sense of accomplishment. At Aarken Tutoring Inc. we do not require you to sign any contract for our Aardvark Tutor Program. Tutors are not bound by any contract because we want to offer a no obligation experience which enables you to succeed. We are so confident in the program that we offer free trials, a 30-day money back guarantee and special arrangements for those who are encountering monetary hardship. Our goal is to help every student we can, no matter the circumstance. Just contact us and we will help. 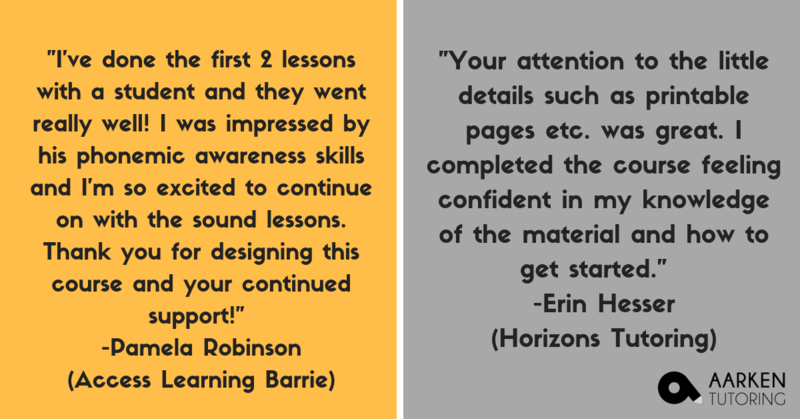 Sara is a passionate tutor and online trainer who specializes in using the Orton-Gillingham (OG) approach while working with students with Dyslexia and any other learning differences. She has trained in many OG-based programs and has been certified to teach the OG approach from the Dyslexia Training Institute based out of the University of San Diego. 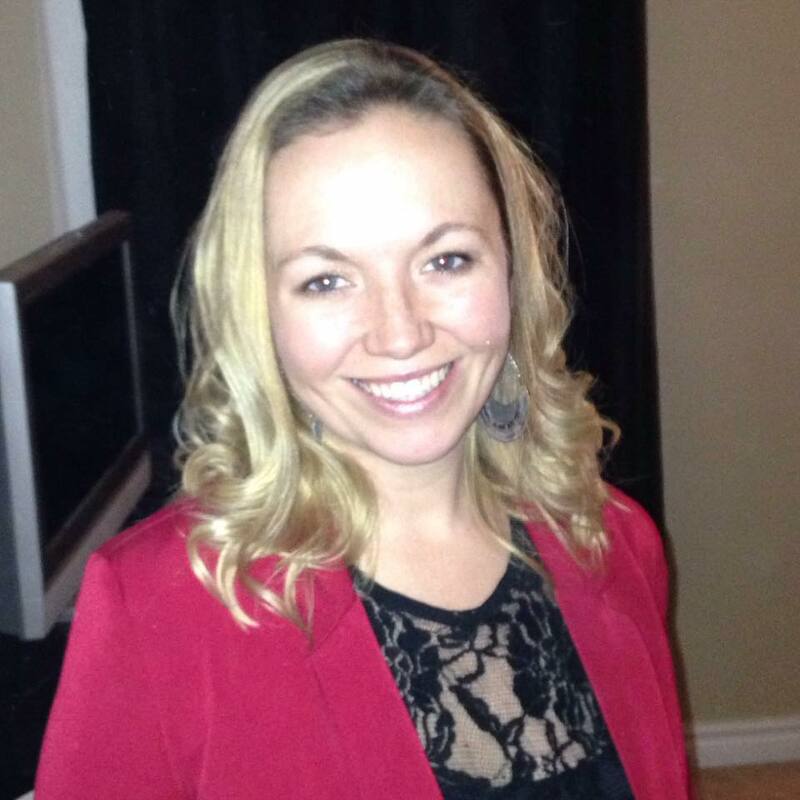 Sara has helped develop the aardvark program and has made it unique by using her extensive background in sport and physical activity (M.A. Human Kinetics) to integrate movement in order to build physical literacy and traditional literacy in struggling students. Why should I open a tutoring clinic? In many, many areas around the world, there are not enough resources to serve the over 20% of all people who have difficulty with reading and spelling. Your clinic will be part of the solution and will be well positioned to find clients. If you’re taking this course to help your own child, consider opening a clinic to help others too! Yes! The background knowledge you will receive will be invaluable in helping the struggling readers in your classroom. If you are able to work with students 1-on-1 you can use the ready-to-use lesson plans and get started! You can even modify the lessons to work with small group of students! Each module will take around 15-20 hours to complete. With all 9 modules it should take you about 180 hours. This course work can be done at your own pace, on your own time. Keep in mind that you can complete the Intro course and Module 1 and start with a student while you complete the other modules in your own time! How long before I can open up a clinic and start helping students? After you complete the Intro to aardvark course and Module 1, you can start working with students. You can begin the logistics of setting up your business anytime, even while working on the Intro module or even before that! Why not start today? What if I am dyslexic? Can I still teach this course? Yes! If you are dyslexic you are in the unique position of understanding the struggles of your students. Much of our content is video-based and our text-based content is accompanied by audio. Initial purchase of the Aardvark Tutor Program includes the first year licensing fee of $50. This fee will be charged yearly thereafter. Still unsure if this is the right course for you? If in the first 30 days you are not satisfied with the course, you will receive a full refund.